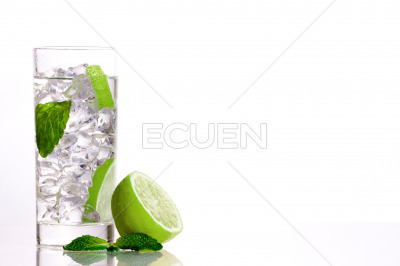 Composition Of One Mojito, One Lime And A Mint Leaf On Isolated Background. 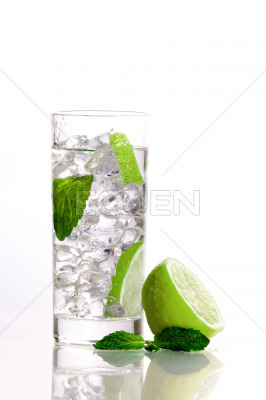 Composition of one mojito, one lime and a mint leaf on isolated background. 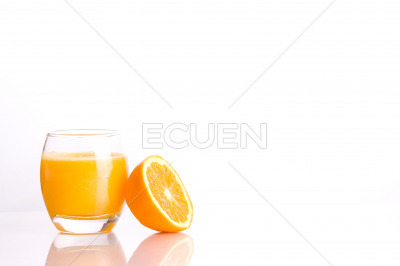 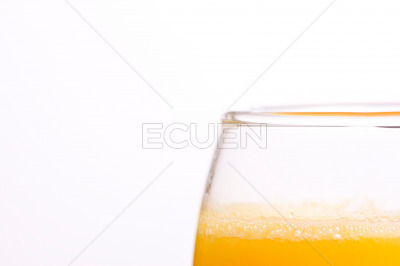 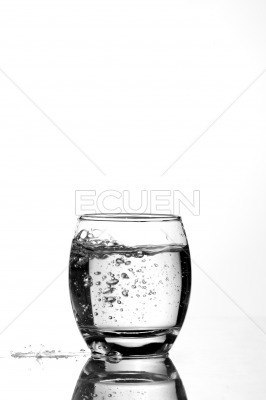 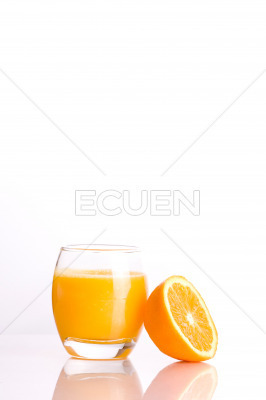 stock photo.